Floods are considered to be one of the natural disasters that seriously affect people’s lives and property every year. Although, delineation and determination of hydrologic basins and their morphometric parameters are difficult morphological tasks, GIS-based approach simplifies the investigation of various morphometric factors and helps to explore the correlation between the drainage morphometry and landform properties. 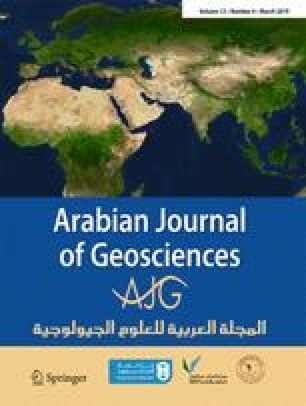 The present study is aimed to investigate the spatial distribution of drainage basins around Jeddah–Makkah region and its surrounding areas (nearly 40,247 km2) using GIS spatial analysis. The morphometric parameters of these drainage basins and their channel systems were estimated and calculated. The computed morphometric parameters are categorized into the following three main groups: linear, aerial, and relief features. The documentation of these parameters was, then, used to evaluate and construct flood hazard map of the region. Flood hazard map assesses five classes with varying degrees (very low, low, moderate, high, and very high) of flood hazard zones. Such hydrological hazard is mostly due to the basin’s area and its highest relief ratio, relative relief, and ruggedness factor. The flood hazard map shows that the city of Jeddah is in a moderate to high flood hazard zone, but most of the areas surrounding it are in moderate flood hazard zone. This indicates that during heavy rainfalls, flash flood could be generated in these areas which can be severely affecting the city. In addition, this study shows a remarkable correlation between theoretical concepts, data sets, and field observations, predominantly highlighting the role of geology and geomorphology in influencing the basin morphometry and identity. This project was funded by the Deanship of Scientific Research (DSR) at the King Abdulaziz University (KAU), Jeddah, under Grant No. (G-224-145-38). The authors, therefore, acknowledge with thanks the DSR for technical and financial support. We are also grateful to the staff members of the Geohazards Research Center (GRC) at KAU, for scientific and technical support. In addition, we thank the King Abdulaziz City for Science and Technology (KACST) and the General Commission for Survey (GCS) for providing maps and other data that were used in this study. Appreciations go to the anonymous reviewers for their suggestions and comments regarding the manuscript. Special appreciation goes to the editors and technical editorial advisor for their valuable comments and advice.